Lopi Freedom | Freedom | wood burning insert heats up to 2,250 square feet on one load of wood for 12 hours. 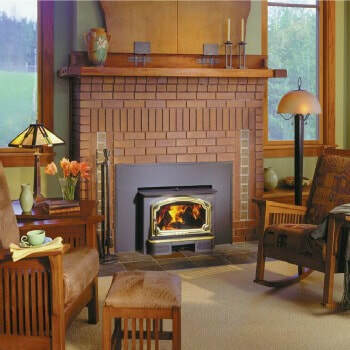 Explore these wood burning fireplace inserts today at Bare's. Bare's Stove and Spa can help you replace that drafty fireplace, without losing the ambiance of a wood fire. Enjoy many evenings in front of the fire. The fire is exceptionally clear through the big glass door.